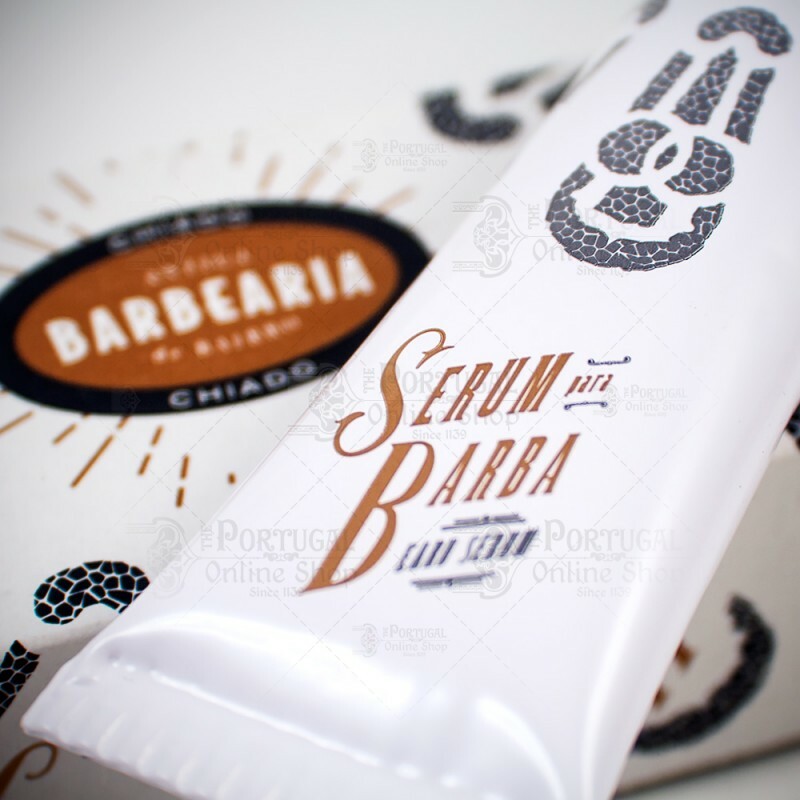 CHIADO, the new product line from Antiga Barbearia de Bairro, is all about Beards! A complete set of unique products for the ultimate grooming. The scented beard serum is suitable for short beards, as it provides a deep hydration of the face and hair. A extraordinary aroma mixing tocacco, amber and wood tones. Packed in elegantly designed cardboard box. 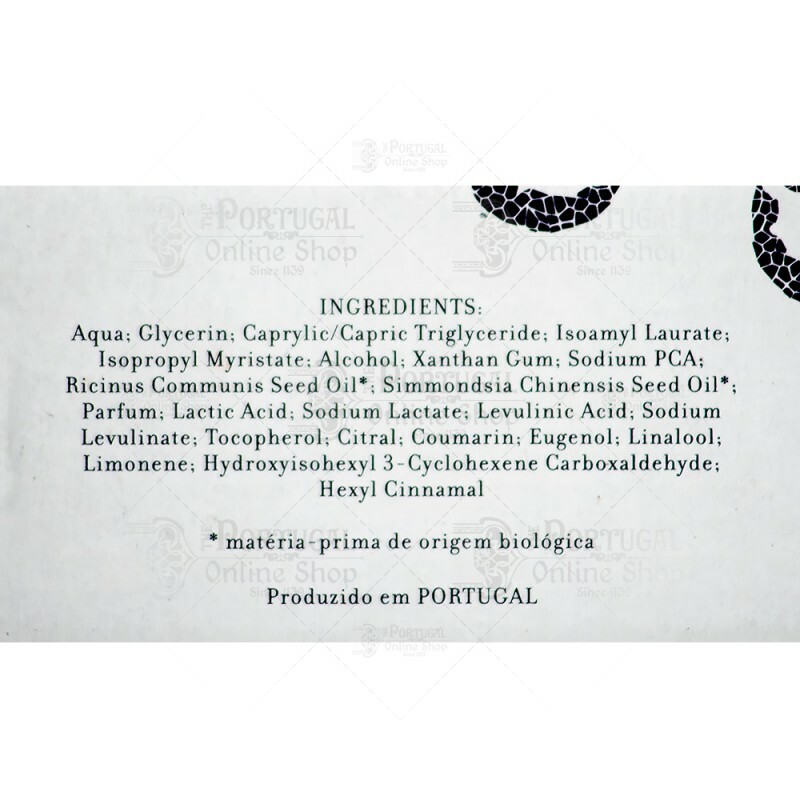 Ingredients: Aqua, glycerin, caprylix/capric triglyceride, isoamyl laureate, isopropyl myristate, alcohol, xanthan gum, sodium pca, ricinus communis seed oil, simmondsia chinensis seed oil, parfum, lactic acid, sodium lactate, levulinic acid, sodium levulinate, tocopherol, citral, coumarin, eugenol, linalool, limonene, hydroxyisohexyl 3 - cyclohexene carboxaldehyde, hexyl cinnamal. A range of products honoring the cosmopolitan meetings that took place between gentlemen and the walks given by the flâneurs who wandered the place observing the smallest detail such as the typical sidewalk that, proudly, is part of our history. The inspiration of the emblematic romanticism and the artistic and cultural manifestations of Chiado in the 19th Century take the form of fragrance, referring to the historical times of this prestigious neighborhood. 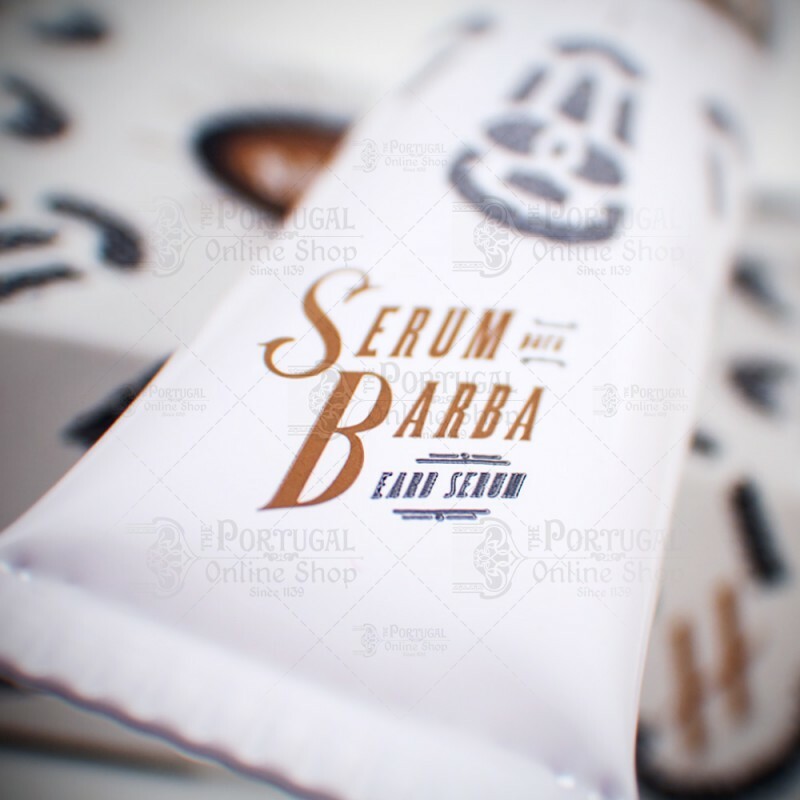 Chiado is the neighborhood that inspired the new fragrance collection of Antiga Barbearia de Bairro. In it cosmopolitan and soul chic where the design and the intellect fuse, endure the memory of the Literary Guild, founded in the Romanticism of nineteen century, where the men discussed and dream while indulging small rituals such as smoking a good cigarette or a cigar accompanied by a digestive. 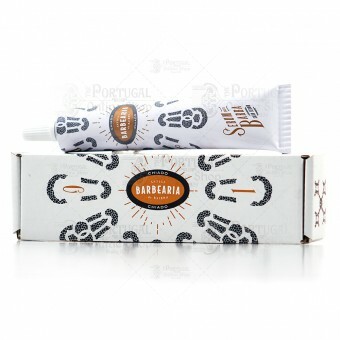 It's composed by 4 products, designed for bearded men: Eau de Parfum; Beard oil; Beard Serum and Cleaning Soap.